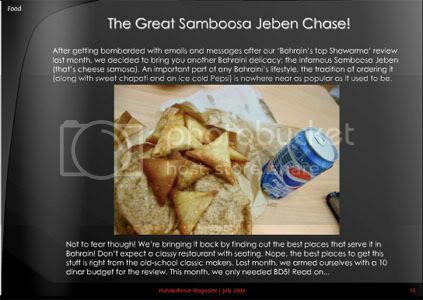 - The Great Samboosa Chase: After the success of last month's Shawarma hunt, we look for the top cheese Samboosa in Bahrain! Yup, join us and find out where to get the tastiest, crispiest jeben samboosa in Bahrain! 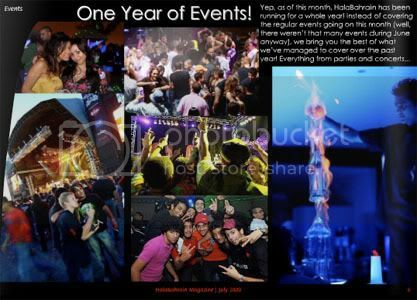 - One Year of Events: HalaBahrain has been up and covering what's going on around the island for a year! We celebrate a full year by going over a full year of events. - Travel - Iceland: Feeling the heat? Looking for a place to cool down? What better than a country with the word ice in the name? Iceland has a lot more to offer than just cold weather though, so check out the review! - Also in this issue: Bahrain getting closer to the World Cup, local Bahraini newspaper Akhbar Al Khaleej banned for a day, and more!